Problem: When customer tries to open the Arabic Channels, you get a message saying “input domain login” and the channels don’t open. Now the problem will be fixed. The new Arabic TV app was released today. Please forward this message for anyone who is having the problem. Sorry for that, there was a server crash. If customer does not have “BeamARABIA App Store” on their box, then how to fix the problem? 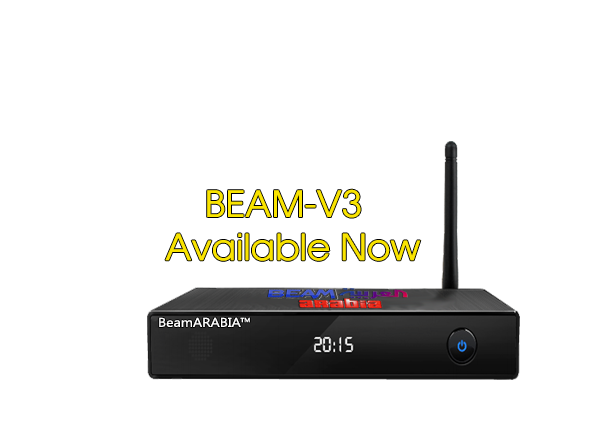 Once you press OK, It will automatically start the download for the new Beam IPTV app. Now you need to go to ‘android apps’ section, and click on the ‘download’ icon. Now that you have it installed, it will work, and the problem is fixed. Problem: When customer tries to open the Arabic Channels, it fails to open, and takes you back to the home screen directly. There is no error message.